"Dr. DelCharco and his staff are great. He keeps up with the latest procedures for women"
"What a wonderful ob/gyn office!... I felt like they cared about me"
"What a wonderful ob/gyn office! Most of the staff are professional, friendly and caring." "Dr. DelCharco is amazing. His patients are always first priority." "He was absolutely wonderful. He is caring & concerned & always answered all my questions"
"I would highly recommend this doctors office." "Down to earth personality. Talks on your level. Very personable and nice." 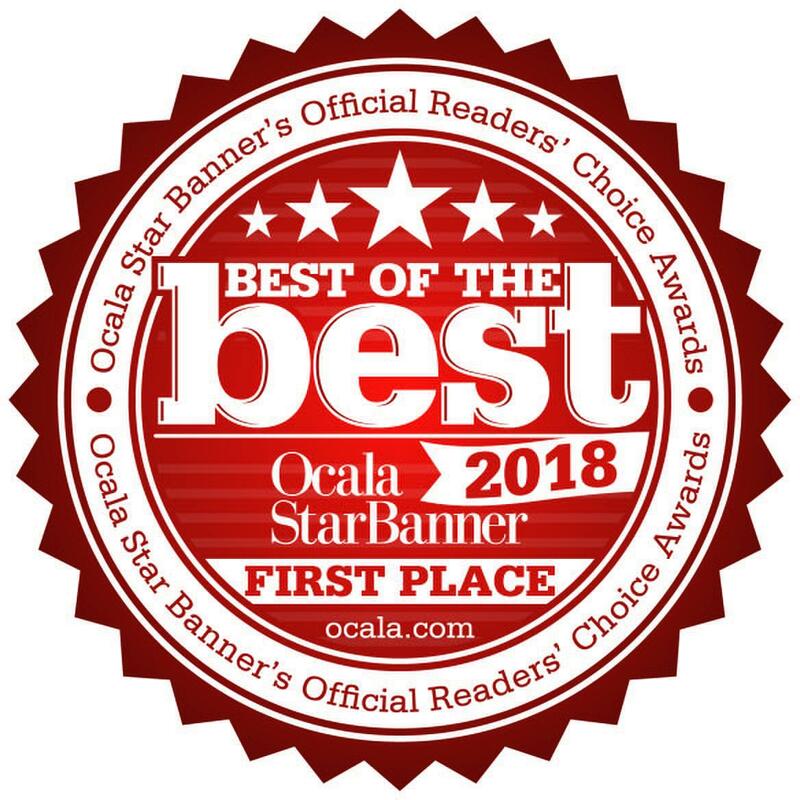 M. DelCharco Jr., MD, LLC, a top-rated OB/GYN practice within the Florida Woman Care family, provides the most advanced and comprehensive gynecological, urogynecological and obstetric medical care for women throughout the greater Ocala, Florida area. Lead by Dr. M. DelCharco Jr., M.D., FACOG, the practice team is committed to providing the highest standard of state-of-the-art care. M. DelCharco Jr. is the only OB/GYN in Marion County to have completed inspection and received approval to provide level-2 office surgery. In-office surgical procedures offered, include endometrial ablation, dilation and curettage, and hysteroscopy. Dr. DelCharco is a graduate of Tulane University and earned his medical degree from the University of Florida College of Medicine. He completed his residency at the University of Kansas Medical Center. He is a Fellow of the American College of Obstetrics and Gynecology and is a Diplomat of the American Board of Obstetrics and Gynecology. Dr. DelCharco also holds full staff privileges at both Ocala Regional Medical Center and Munroe Regional Medical Center in Ocala, FL. A one-time, 5-minute procedure that can lighten - or end your heavy period - without on-going pills and without hormonal side effects. For over 90% of women, menstrual bleeding is dramatically reduced or stopped. For complex hysterectomies and other gynecologic procedures, robot-assisted surgery with the da Vinci® Surgical System may be the most effective, least invasive, treatment option. For your convenience, we accept most insurances. If your insurance company is not listed please call our office and we will be able to check your specific coverage. Also, if you are seeking a new Insurance policy for next year and need to verify if Dr. DelCharco, Jr. participates in the plan you may be interested in, verify that “Florida Woman Care” is part of the participating list because Dr. DelCharco, Jr. participates under this group name. Our Weight loss, Aesthetics, and 4D Ultrasound procedures and treatments are typically NOT covered by most Insurances. Please call our office for more information about alternative payment options and financing available. "I want to thank your office for the wonderful service you provided my daughter. Your staff is very professional and she enjoyed being your patient." "Dr. DelCharco and his staff are great. Had to have a very difficult surgery and he made me whole and well again. His staff is very caring." "I think I owe my life to Delcharco and his wonderful staff. Can't say enough good things about all of them." "I had a wonderful experience from the time I made my appt. til I followed up with medical records a few weeks later." "I just had two different surgeries done by Dr. DelCharco. He was absolutely wonderful. He is caring and concerned and always answered all my questions." "He delivered both of my children. He was very caring and answered any questions or concerns for me. I would highly recommend."